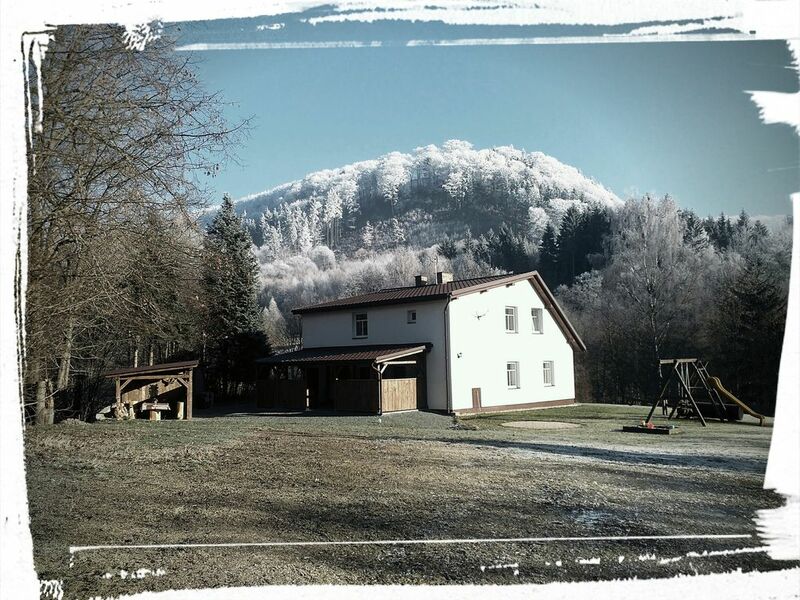 HÁJENKA offers comfortable accommodation for your holidays in Broumov nature reserve. The apartments are equipped with 4-21 beds, bathroom (shower, toilet), kitchen (refrigerator, induction cooker, kettle, microwave, basic kitchenware), fireplace and TV. The outdoor equipment is a fireplace with a grill and a playground with a sandpit. Arrival is between 14.00 to 18.00 pm. The reception is not permanent, you must notify in advance the time of your arrival. Minimum stay of two nights. Smoking is permitted in designated areas. Pets are not welcome. Boarding is possible in a nearby restaurant „U Medvěda“ in Starkov, three kilometers away. We look forward to your visit!